We are very excited that Dally is around the corner and we hope to add your name to our list of Dally in the Alley vendors. Dally in the Alley is a unique street festival. North Cass Community Union has been putting on the Dally free of charge and without corporate sponsorship for the last 35 years. This year, we hope to have you at Dally with us. www.dallyinthealley.com/vendors. Booths range in price from $270 for a 14’ space to $205 for a 10’ space, these are the online prices that include the city fee and the transaction fee. We recommend you use our online application to make sure you are approved before our August 23rd deadline. You can also download applications from our website and mail them in with payment to 4632 Second Ave., Detroit, MI 48201. Another option for very local vendors is a Depression Buster Booth. DB booths are for up to 3 vendors to share, but they must be from Detroit. Dally attracts upwards of 20,000 people in one day, all with unique tastes. This is our 35th year and we want you to be part of our biggest year yet! 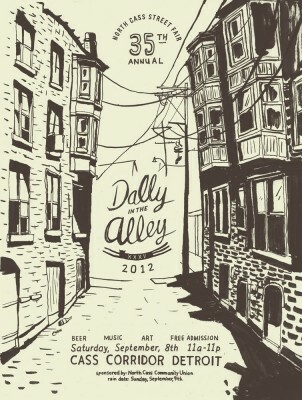 If you have any questions please email vendors@dallyinthealley.com or call (313)522-5517. Thanks for your time and we look forward to seeing you at the 35th annual Dally in the Alley! 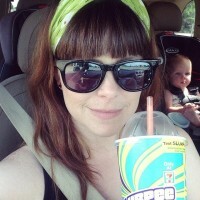 The August 23rd deadline is to avoid a late fee of $50. So still consider doing Dally even if you might miss the deadline this Wednesday!